The President of the Provincial Council of Biscay, Unai Rementeria, has announced the programme of activities that the Provincial Council of Bizkaia has organized for 2017 with the slogan “Bizkaia Goazen Gazteak”. It comprises 137 projects promoted by all the provincial departments involving an investment of 69.6 million Euros. The projects of the Youth Year are structured around a 6 areas and seek to generate opportunities to help young people train, work, participate, help, connect with the world and enjoy. 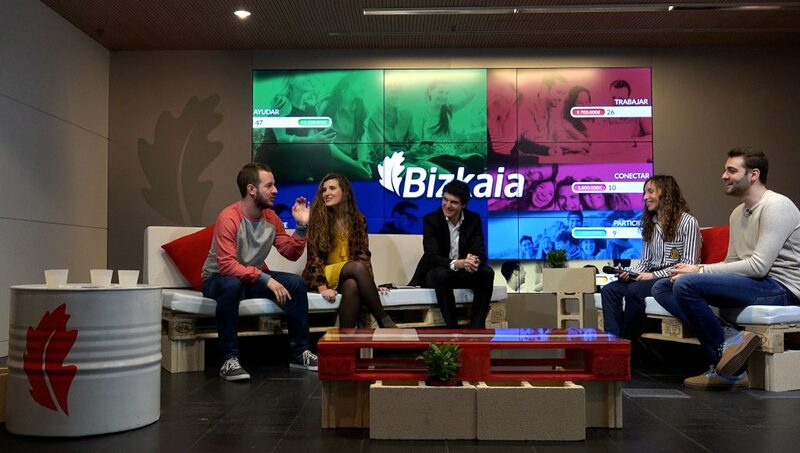 During the presentation of the Youth Year, Unai Rementeria was accompanied by two groups of young men and women who presented two initiatives which are already under way: the figure of the Gaztesaregileak and the team of young people who are working on the design of the new Bizkaia GazteTxartela. All of them are current or former participants in the programmes of bizkaia talent’s Talentia service, which aims at guiding university students who live in Biscay and have the highest potential from the three Basque universities towards adequate job placement and professional development as well as supporting the engagement of the students with the scientific, technological and business reality around them. The Gaztesaregileak are Estibaliz and Endika, two young people who will go to the places where young people are or meet, that is, they are two youth representatives who will go all over the region of Biscay divulging, stimulating and socializing the youth year of Biscay in places of significance for young people. It is a commitment to being present in the places and spaces where the young people of the territory spend time together and relate to each other and to doing it their own way. Their mission will be to listen to young people, connect with their main demands and concerns with regard to the Provincial Council’s offer, generate a network of contacts who will be constantly informed about the opportunities which arise, identify projects and generate opportunities. The two Gaztesaregileak will have the constant and valuable support of other essential agents, such as the project coordinator and a team of mentors. This group will play a key role in this project as it will be made up of significant organizations in areas of relevance for young people, like for example the managing director of bizkaia talent, Ivan Jimenez, Jokin Garatea (GAIA Cluster), Inés Anitua (ACICAE Cluster), Jesús Riaño (University of Deusto), Aitzol Lamikiz (University of the Basque Country) or Ainara Basurko (from BEAZ) among others. 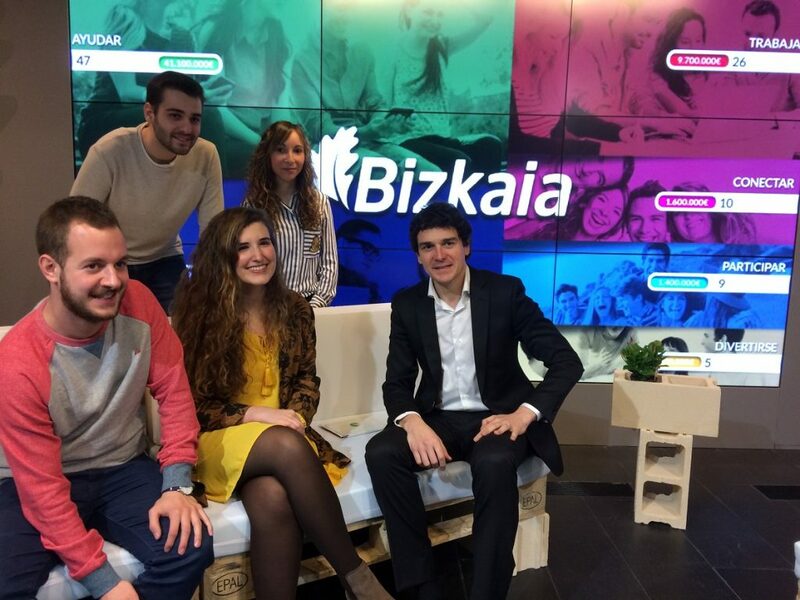 As for the new Bizkaia Gazte Txartela, it is being designed by a multidisciplinary team of 7 young talents from the first edition of the innovative programme Talentia Challenge promoted by bizkaia talent. Their mission is to develop a tool which serves to connect young people to services and projects aimed at them. This team is analysing young people’s main demands as well as the best solutions. In fact, they have already announced that the final solution may not be a card. The details are expected to be known before the summer.